We all have leftovers from the previous night or vegetables and fruits that need proper storage so that they can last longer. VacMaster PRO260 is your ally in the kitchen that makes your life a lot easier by helping you seal and store your food. Improve the freshness of your food and increase their storage life by sealing it with this machine. 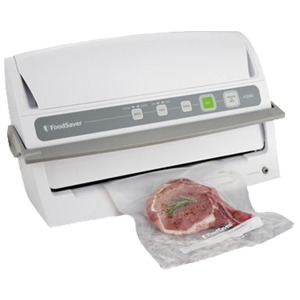 Equipped with dual piston vacuum pump, this machine uses professional vacuum sealer technology but in a more user friendly design. Additionally, it also has a “Pulse” option, which helps in sealing the fragile food items furnished with a single-touch “seal now” button and also the “extended seal time” to tackle heavy duty bags. The versatility of this sealer makes it a perfect addition to your kitchen counter top. You can now reduce wastage considerably by enjoying the convenience of customized packaging with the VacMaster sealing machine. ​This particular VacMaster model has the footprint roughly equal to that of a large shoebox. As such, fitting the appliance on to an otherwise crowded kitchen counter-top should prove feasible in most cases. And while it may not be battery operated, the appliance’s lightweight nature (10-pounds weight) means that you can easily move it from its original place to just about anywhere in the house that has a power socket nearby. ​VacMaster sealer is extremely versatile and allows you to adjust the vacuum power as per the delicate food items like liquids, marinated meat, and even flour. You also have the option of sealing heavy-duty storage bags with its changeable setting options. We have been using it for over two months now and just love the fact that you are able to store just about any food item. Just to test, we also sealed a packet of soup once that fastened beautifully and even after a week the soup tasted perfect. Besides, we have also used it to seal our emergency kit when we went on an outdoor hiking trip. The product worked like a dream! ​Although the VacMaster PRO260 has been designed with professional precision and is meant to be a kitchen-friendly item, it can be slightly bulky for the countertop storage. Nonetheless, its design and functionality more than makeup for the small aforementioned flaw. The spill trough is a nice addition to the sealer which offers pure convenience in dealing with overflows. 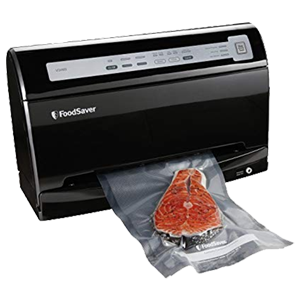 ​The machine has been equipped with professional vacuum sealer mechanism but the operability has been maintained to suit the user-friendliness. We could easily understand the “Pulse” settings for delicate food and the “extended seal time” option to seal the tougher storage bags. Even my husband is able to seal the packages, without any hassle, after meals each night. The sealing system is so efficient that it leaves food tasting virtually fresh even after a couple of days. ​The customer service department of Ary has been very cooperative and helpful when I reported a small problem with the machine soon after I purchased it. They not only sent me a replacement within 24 hours but also assured that I can reach out to them if I face any other problem. The VacMaster PRO260 comes with a regular warranty with a replacement guarantee if there is a manufacturing defect. ​The machine comes along with 20 assorted full mesh storage bags and two 20-feet long full mesh rolls; the larger one is 11.5” wide whereas the other’s slightly less at 8”. The machine works better with bags textured from the inside as opposed to smooth bags. This was further reiterated to us by the customer service department. According to them, the latter’s smooth interior hinders the appliance in creating the desired atmospheric pressure within the bag, which directly impacts the overall suction efficiency. Our overall experience with VacMaster has been a very pleasant one, to the point that we’d even call it a ‘value for money’ expense. Its helped us prune our grocery bills and also reduced food wastage immensely. Now, we simply seal the leftovers and consume it when we want. Furthermore, the marinated meat sealed in these bags tastes delicious as the flavors seep evenly into the skin. Its single touch operation makes it virtually employable by just about everyone in the family. I am particularly impressed with the versatility of the machine that gives me greater control on the vacuum pressure with varied settings. I definitely love using this VacMaster in our kitchen as it has made life so organized and keeps food so fresh!